If you are in the life insurance industry, you may be a ‘captive’ agent. This is not as harsh as it sounds; it simply means that you work for a particular company called a ‘carrier’, endorsing its life insurance policies only. It is a good place to begin your career as an agent for the on-the-job training; you get to watch other senior or experienced agents in action. Alternatively, you can be an independent ‘broker’ and represent various policies. This can be taken up once you are a seasoned player in the market. You are then in a position to compare various life insurance policies and make the best recommendations for your clients. Your Personal Financial Mentor notes that the life of the average life insurance agent is a very taxing one. Typical working hours are 10-12 hours day, usually 5-6 days a week. Sometimes, if important clients are busy during the week, and request for a weekend slot, the agent would not refuse this business opportunity. Who would make a good life insurance agent? A college graduate, preferably someone who has some background in finance, with the gift of the gab, social networking skills and the drive to succeed. Besides soliciting clients and closing a deal, you will also need to fill in various documents and reports. It is advised to back-up your data in hard copies, organizing them into files. As your business grows, the amount of files will keep increasing, but you still need to get out a particular file at a moment’s notice. Sometimes, your responsibility towards a life insurance policy doesn’t end with its sale; you can be contacted for help while filing a claim, or cashing in on maturity of the policy. The internet offers a means to get everything done online; selling life insurance is no exception. You will benefit from the time saved from finding new clients, since they can see a link to contact you (email/ phone /physical address) on your carrier’s website, or your advertisement in relevant insurance policy searches. Form-filling is much faster than the traditional paperwork, and easier to access. Customer satisfaction is the key to your success as a life insurance agent. Client referrals get you more contacts, and it is in your best interest to go the extra mile in meeting their insurance needs. 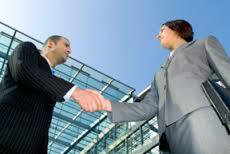 Moreover, clients are looking for an agent with whom they can connect, someone who treats them with respect and not just a means of earning a quick buck. « Does Being ‘Credit Worthy’ Matter?